Kensington is one of the best regions of the capital to head to when you want a great dining experience, so whether you live there or are just visiting, it offers some great opportunities for romantic date nights. If you are trying to show a new love interest a good time or spending quality time with your significant other, one of these five great Kensington restaurants is sure to fit the bill. For a casual date with excellent food and beautiful surroundings, it is hard to beat the Cast Iron Grill. The menu here focuses on quality meat and seafood prepared in both classic and interesting dishes, and the service is excellent, definitely making it one of, if not the best, grill restaurants in Kensington – you can find out more about it here. The restaurant itself is also quite impressive thanks to its glass atrium, which is one of the largest of its kind in Europe. With laid-back design and a great drinks selection, this is a great place to enjoy an evening with someone special. If you have the budget for it, The Ledbury is an exquisite choice and a luxurious, indulgent date ideal for a very special occasion or as a special treat. 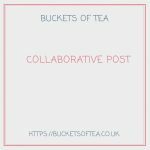 This is a restaurant with two Michelin stars and it serves up a seasonally changing menu designed to excite the senses with new flavours and the very best in ingredients. The ambience is sophisticated and luxurious too. This Kensington restaurant aims to offer authentic Italian cuisine served in a friendly and charming environment. It is also fairly reasonably priced considering it has the cachet of an AA rosette for culinary excellence and is a popular place to eat with local people. Another great thing about Olive’s is that they serve breakfast, too, so if you have to fit in your date time with your partner outside of the evenings, you can still go somewhere wonderful to eat together. If you are looking for something casual but still delightful for your date night, then a good choice is Byron on Gloucester Road. 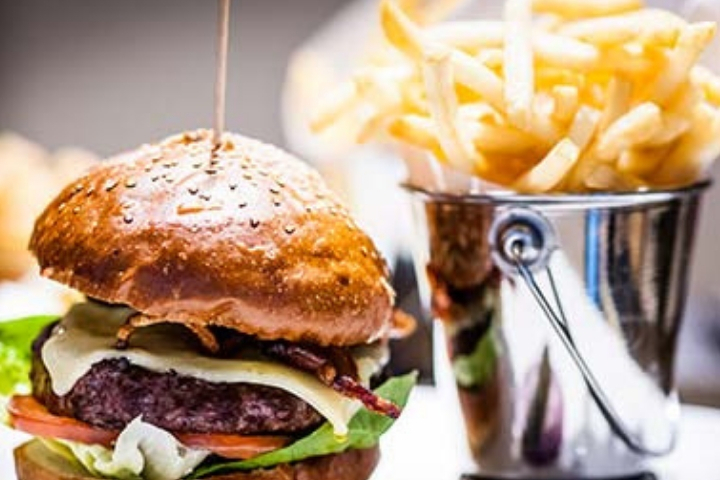 This is a lively restaurant that specialises in burgers with a gourmet twist. If you want a touch of luxury but without the price tag or complicated dishes associated with fine dining, here you’ll find something to enjoy that won’t break the bank in pleasant surroundings. 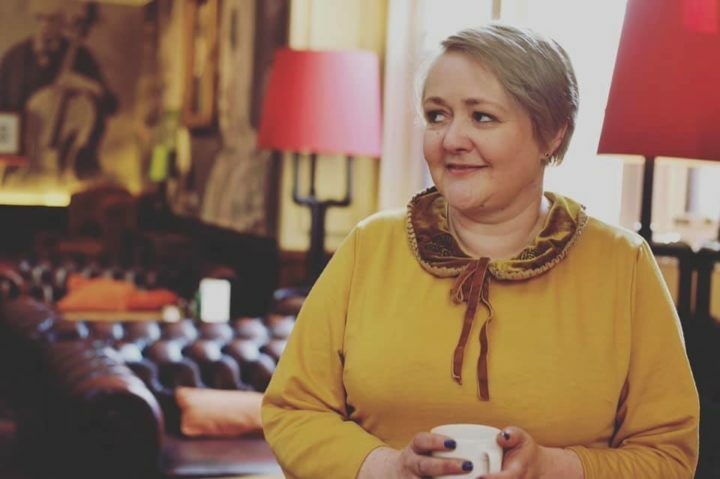 As a family run restaurant with a history of over 20 years in business, Ffiona’s is a beautiful restaurant that serves up delicious British food and is something of an institution in the area. 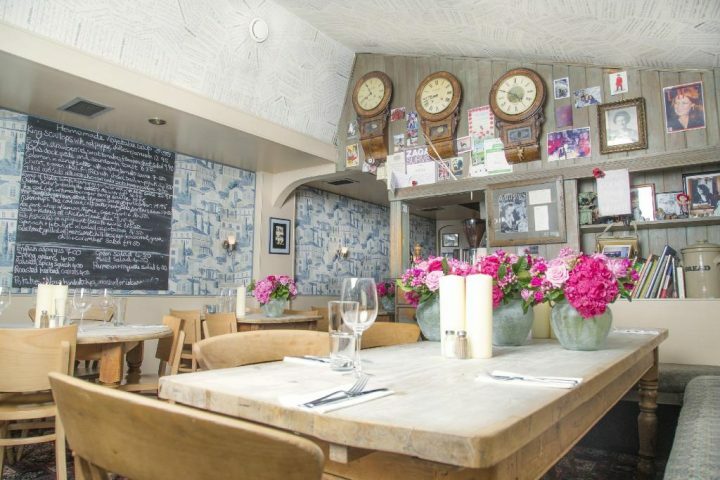 Head here if you want a charming date night with excellent food and a wonderful atmosphere. 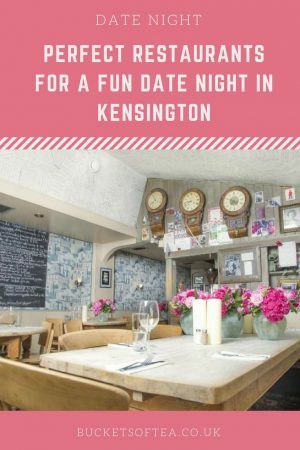 Of course, these are just some of the great places to eat in Kensington, but they will hopefully give you some ideas when it comes to planning your next special romantic evening in this exceptional part of the city.